» Where should the cop shop be? Where should the cop shop be? The Albany City Council will likely find itself in a jam on plans for a new police headquarters if it goes against the recommendations of the Burright-Morse committee on public safety facilities. The possibility of this happening arose Wednesday when several council members raised questions about the committee’s recommendation to remodel and enlarge the police station at its present site if enough land around it can be acquired. Ever since 2009, when it bought vacant land off Pacific Boulevard S.W. for $860,000, the city had planned to move the police headquarters there. But then, last fall, a $20.3 million bond issue to do just that and to replace downtown Fire Station 11 was rejected, and the council appointed the committee to review the plans and make recommendations. The panel, headed by retired Sheriff Dave Burright and former state Sen. Frank Morse, has done a huge amount of detailed work since it began in January. It heard from new Police Chief Mario Lattanzio that keeping the expanded department at its present location on Jackson Street, adjacent to the sheriff’s office and the jail, would be better than moving to Pacific. In May the committee recommended that the police station be enlarged on Jackson Street if enough surrounding property can be acquired, and that the Pacific site be used only if the better alternative proves impossible. The council got a report Wednesday that yes, enough property can be acquired from willing sellers to accommodate a department large enough for the next 20 or 30 years, but that buying additional property — for a department as big as it might have to be in 50 years — is is not possible right now because the owners said no. That’s when the council started discussing whether the Jackson Street or Pacific Boulevard location was to be preferred. Members raised all kinds of questions: Could the Jackson Street land support a three-story building? Would there be enough room for parking under city regulations? Would 13th Avenue have to be improved to city standards? If more property had to be acquired in 20 years, where would the money come from? Someone said tenants in an apartment house behind the station don’t want to move. And wouldn’t it be hard for the police to operate during construction? And so forth. The current location is central to the jurisdiction and adequate in size to accommodate all future needs with wise planning. Has anyone considered the additional fuel costs involved with a station located on south Pacific Blvd, the alternate location that is nearby to little or nothing? The current location could not be better under that criteria. Why limit future growth to three stories? The vision being shown by the city and this commission seems “deficient.” Parking? Multi-story parking could be an option. Is that even being considered? The ability to maximize the “footprint” s limited only by imagination and money. This council has demonstrated many times their propensity to spend money. 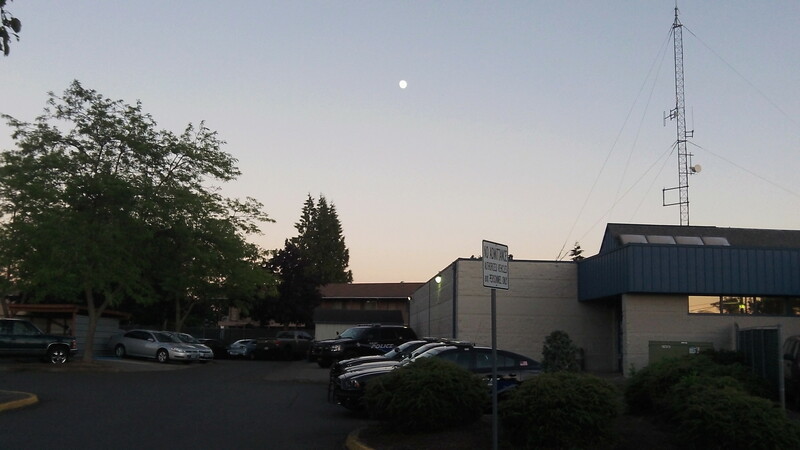 The land where the current Linn County Jail and Albany Police Station was donated years ago by the Scharpf family to serve the needs of the public. The value of that gift should be maximized and the Pacific Blvd. property sold with the proceeds applied to the Jackson Street site. Easy come – easy go? If the council would read the minutes of the committee meetings, I think many of their questions would be answered. Location is an issue worthy of debate, but the council has already earned my NO vote by deciding to use most of the available public money (CARA, Pepsi, existing reserves) on projects that are significantly less essential than new police and fire buildings. Instead, the council plans to burden property taxpayers with most of the cost of the police/fire buildings. When the council decides to put taxpayers first, then I will pay attention to secondary issues like location.